I have had so much fun making these boxes! I was a little concerned with me using the table saw since I hit my leg with the hammer a gazillion times when I was tearing apart the pallet. BUT no injuries have occurred during this project--Yay! 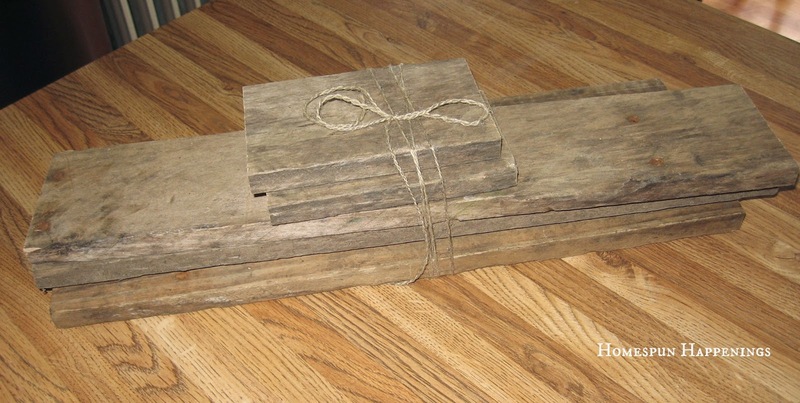 I measured and cut each of the box pieces individually, and then I tied them up with string so I wouldn't mix them up. So this is one box. 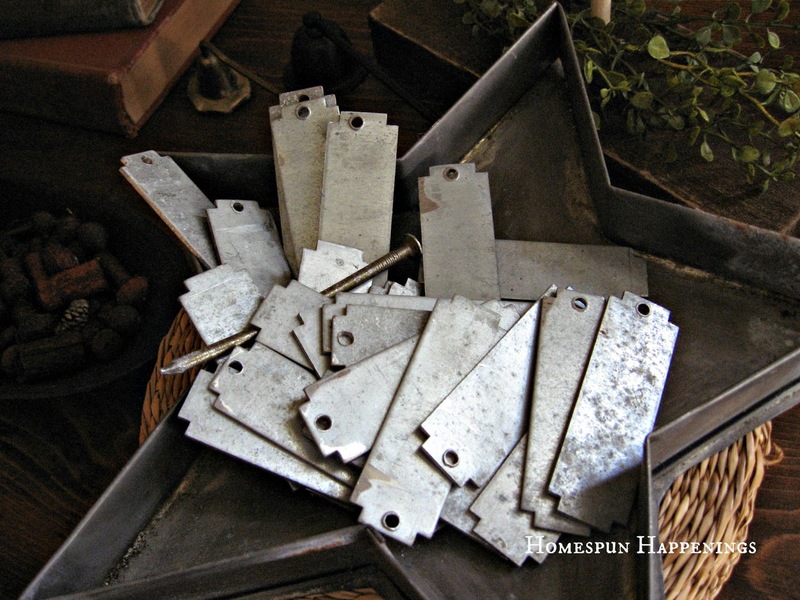 I found these metal pieces in a free box at a yard sale--Yay! 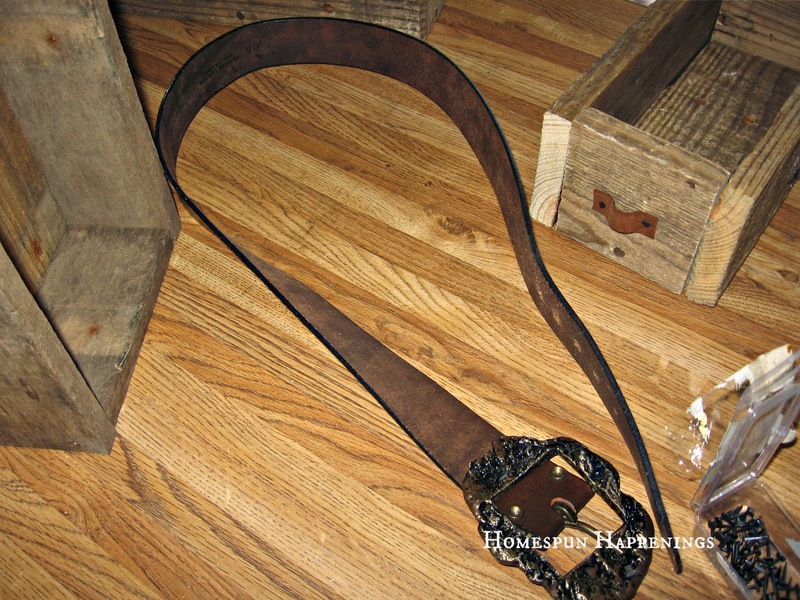 I bought a leather belt at a second hand store for $1.50 to make faux handles. My Aunt was so gracious to give me a hint at nailing tacks. She told me to hold the tack with the needle nose pliers while hammering. It worked like a charm! I also copied some fonts off the computer and transferred some sayings onto my boxes using a charcoal pencil. These say Mail on one side. On the other side of each box, I numbered the boxes. I love these bigger boxes! I did break a drill bit trying to drill a hole in the one end of the metal plates. Sadly after I had taken this pic I grabbed one of these bottles by the orange handle. Well the handle had a slit in it and down went the bottle in a thousand pieces. Boy, does old glass really shatter! I did like a stain wash to age the places where you could see that I cut the boards. All this for a total of $1.50. I love doing projects like these! I thank God for the talent he gave you! You do great work through Him. :) Love you! You did a awesome job!! Wow, those look so good. I like that you put numbers on them. I'd love if it if you would share this at our All Star Block Party. 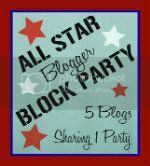 We are a group of 5 blogs sharing 1 linky party. I love 'em! They look great! I love the lettering and the leather belt as the handle. I love these!! I have 2 pallets in back I need to do something! You've inspired me to give this a try! I'd love it if you shared this at my party going on now! Tammy those are fabulous!!!! Great job! I am impressed Tammy...great job! All for $1.50 and no injuries! 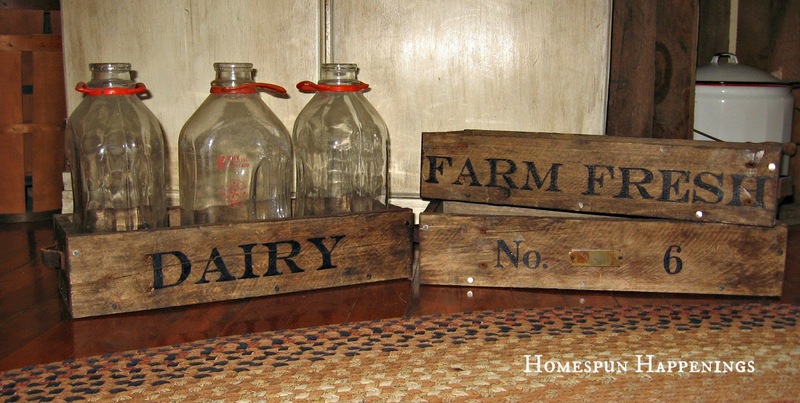 These are exactly what I want to do with some old wood I have lying around in the garage - amazing!!!! 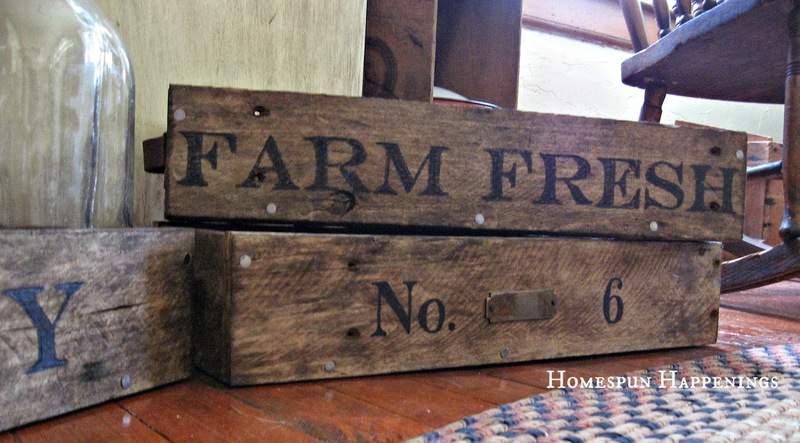 Love the Farm Fresh, love the leather handles, love them all! Following you now too via Linky. Wow, I LOVE them, Tammy!! I'm your newest follower... I came over from the ALL STARS BLOCK PARTY !! Tammy, the boxes are great :) You've got skills! These boxes are amazing! I love how they turned out! Just added one more project to my list! I love those boxes! They'd be perfect for so many things. 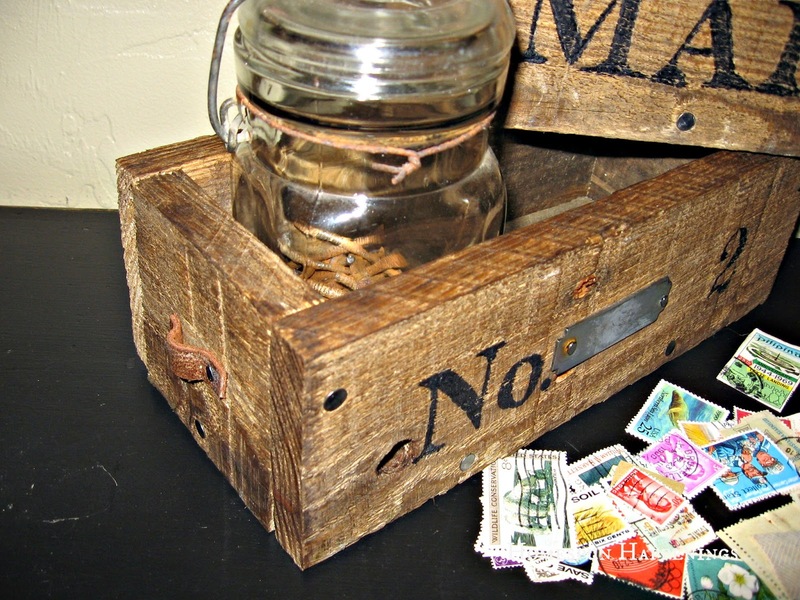 The one time I tried to work with an old pallet I found it very difficult, so I'm impressed that you were able to do it! Great job! Tammy - I may have to break my vow of not bringing anything else home. I passed up three pallets today - red, blue, and natural. (My niece says they are painted according to how they should be recycled.) They would make excellent boxes. I am so proud that you figured out the sides and bottom, then tied them together. 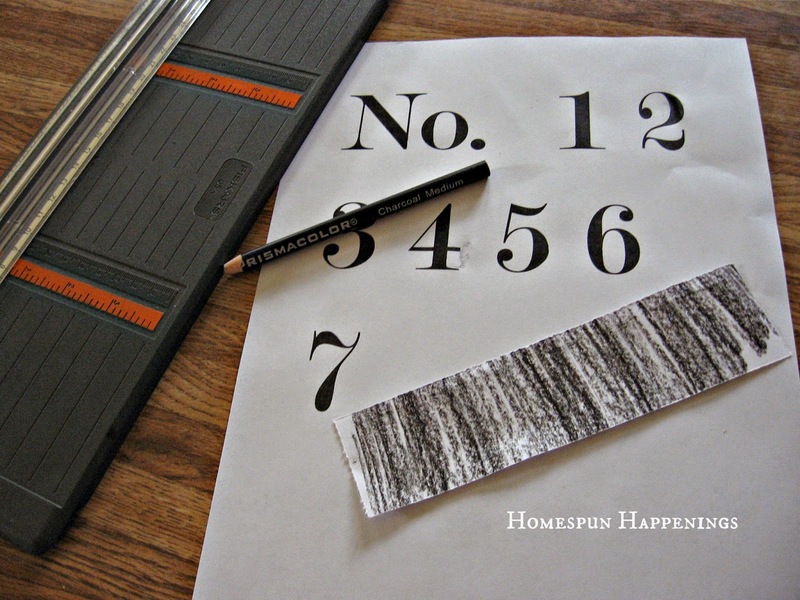 (Another great tip from you - I have often misplaced crucial pieces.) those metal tags are a steal with a capital "S". They are not made as much any more - gone to making them out of plastic! These are amazing! Love them SO much! First of all, THANK YOU for linking up at my party over at Doodles & Stitches. Secondly... WOW! 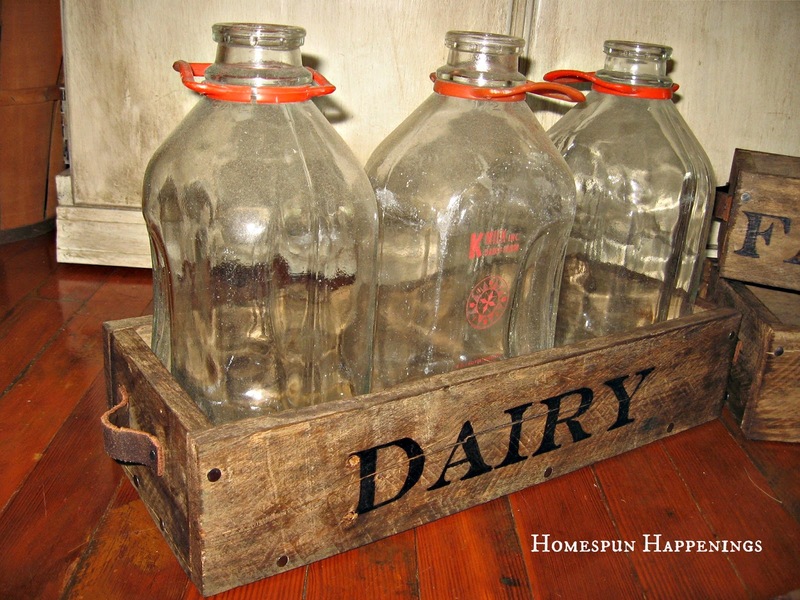 I'm so excited about this idea especially because I picked up some pallets off the side of the road a couple of months ago and they're just sitting in my garage... waiting for some inspiration. I absolutely LOVE the boxes!!! They turned out sooo cool! Thanks again for linking up. I'm not making the announcement yet (cause party isn't closed yet) but you're sure to be featured! OMG! These boxes are AMAZING! I am sooo doing this. I have been looking for a box like this for my wedding and haven't found one. So now I'm gonna make mine. Yeehaww! Found you from a blog hop and am now a follower! wow wow wow. oh you are amazing. now these came out fantastic. 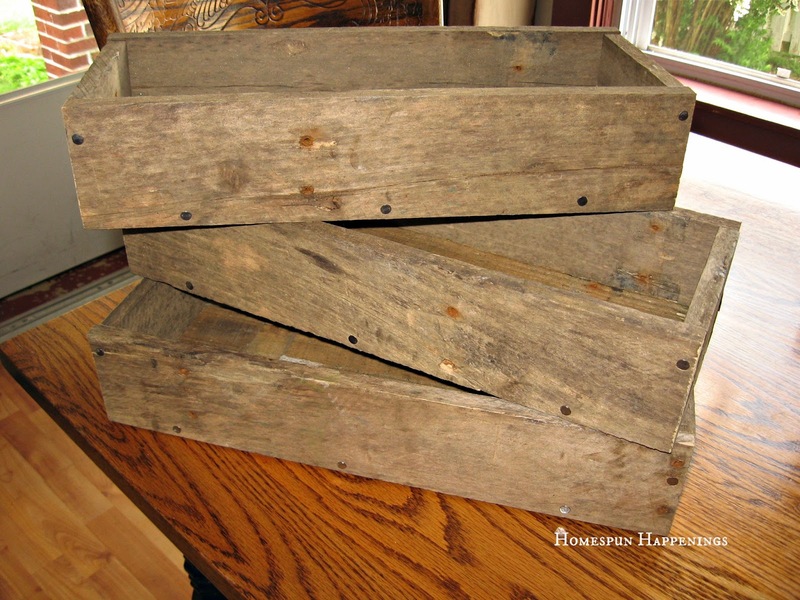 in fact so good that i was just thinking that i ought to go out and pick up an old pallet myself and make myself some planters. Your created boxes are simply beautiful! I adore them! 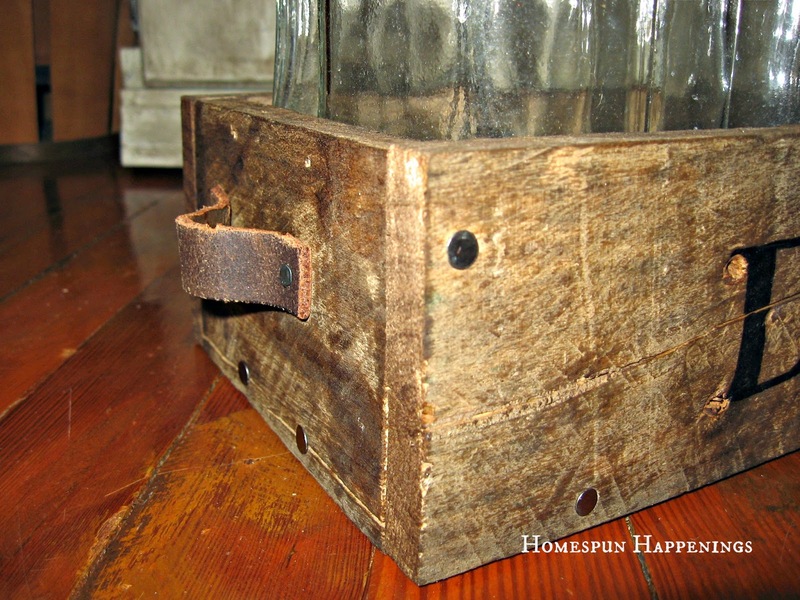 I have to try this project - I love how your came out! 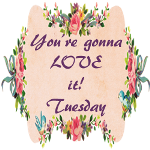 Thanks for linking up this week! So happy you did! These boxes are wonderful! I love the details you added when they were all put together. What a fun accent to use in your home. 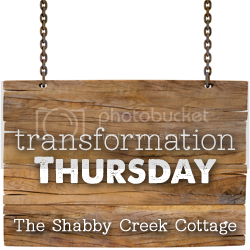 Stopping over from your feature at Embracing Change. You did a fantastic job on these boxes, so I gotta pin 'em. 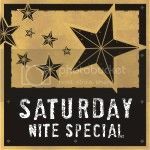 Dying to know what font you used!! Oh, I love these! I love your style, RUSTIC! It's what I'm all about. 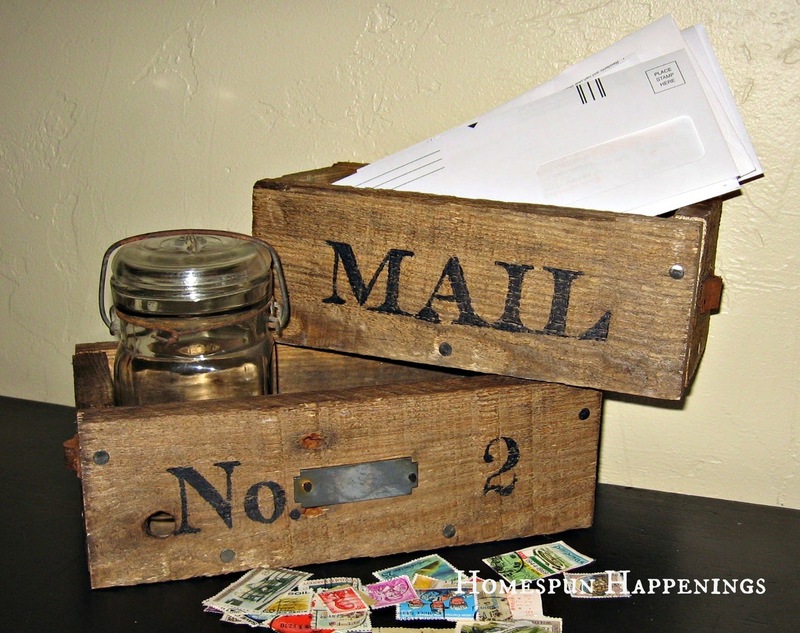 Thanks for sharing, I think I saw a pic of your boxes on pinterest, and I wondered about the leather handles, what an excellent/frugal way to make those handles, love it! Could you send me the measurements for the wood cuts? Hi Elaine, they we're different measurements. I went by the length and width of the bottom board.